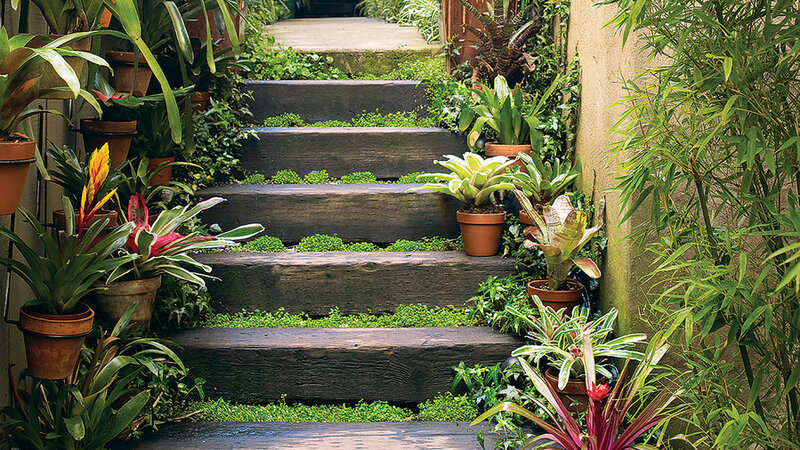 A jungly side yard gives a tantalizing glimpse of the oasis beyond. 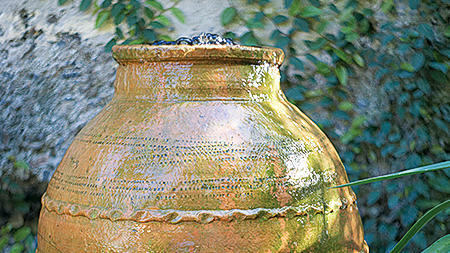 "I bought the pot in Turkey and set it atop a 3-foot-high concrete pedestal in a 4-foot-square pool. 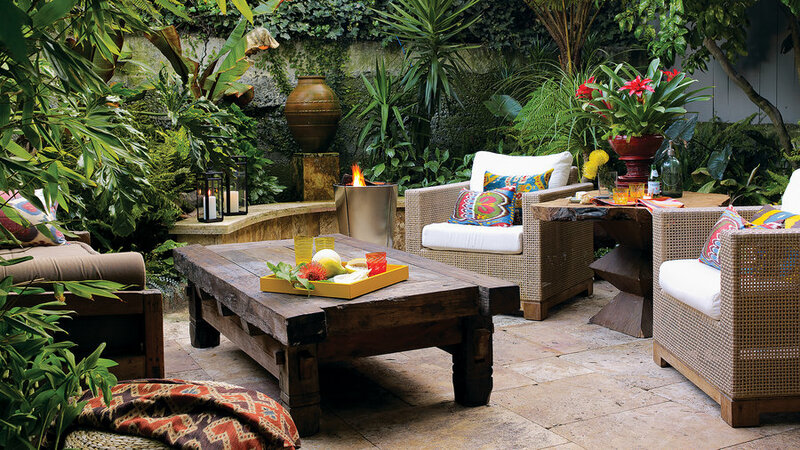 Water recirculates from the pool's pump." "They don't take much water, and they multiply like there's no tomorrow. 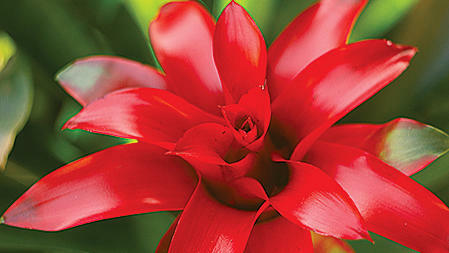 Plus, they look good all year in frost-free climates." 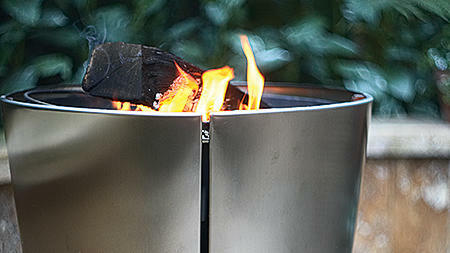 hapely grill: A portable Eva Solo Grill from Denmark is just the right size. "It helps heat the space on chilly nights." 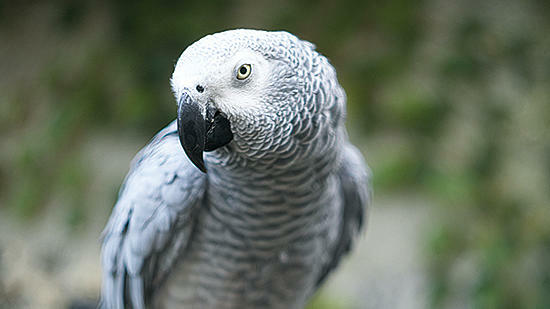 "Goyo is my downstairs neighbor's Congo African Grey parrot. He often hangs out with us and loves to perch atop the fountain." Add a mirror for the illusion of space. 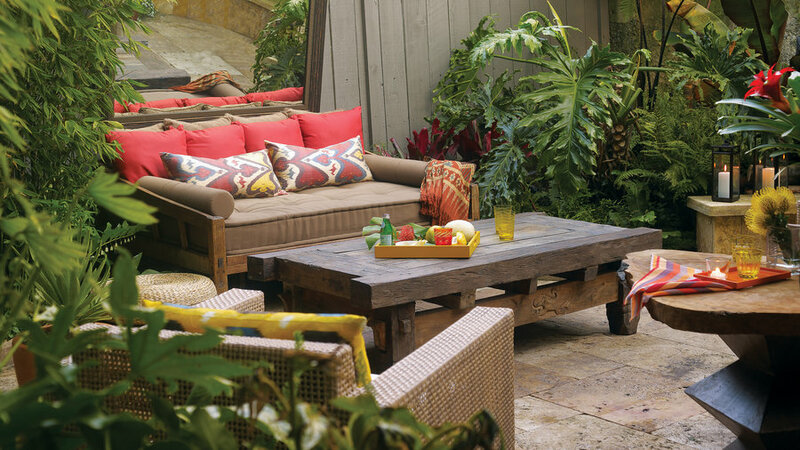 This one gives the patio a living room look, yet it stands up to sun and rain.